If you are interested in commissioning a pattern for commercial or personal use then please contact me using the form below*. If you’re looking for a specific pattern and can’t find what you are looking for, please do let me know via this form also. If I get enough people looking for something similar then I’ll consider writing a pattern for it! 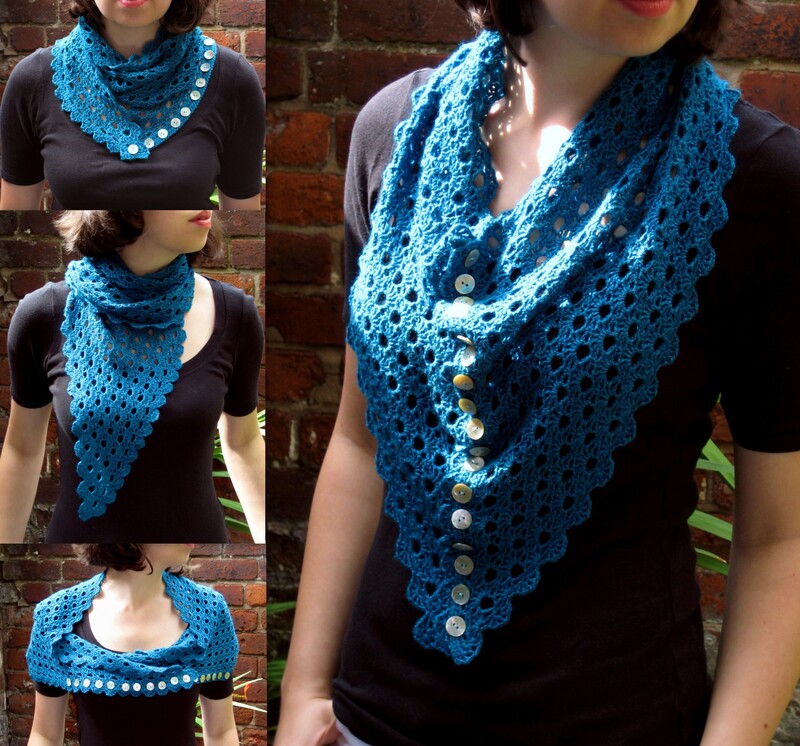 Multiplicity Shawl by Make My Day Creative – Why not commission a similar pattern? *Please do not use this form for queries on my existing patterns. You can leave a comment on the pattern post itself and I will do my best to get back to you. Often if you are having a problem someone else will already have asked the question so it is worth reading through the existing comments. Another great place for support (or to see how people have modified my patterns) is to check out the project on Ravelry. This is the first time I’ve seen your web site. One of your basket patterns showed up on Grandmother’s Pattern Book.com. She posts about 20 each free crochet and knit patterns about each week. I love that you’re talented in many areas, I myself am also. Two comments: One – I absolutely love the Fire Opal ring you inherited! It is my absolutely favorite stone. I’ve had had one since I was 18 – unfortunately someone broke into the house and took my jewelry box! :( This happened about 28 years ago and I still miss it! At least I was able to enjoy it for about 15 years. Oil it once a year in mineral oil over night to keep it from drying out and losing color. Comment Two – While looking at your basket pattern I saw the note about inheriting all of the yarns and books. If your interested, there is a website called purple poncho which has absolutely hundreds of free vintage patterns and pattern books available and are always seeking new donations. 99% of their site is free, all they do is put the patterns on the site free for the asking. Thanks Kathy! (Sorry to hear about the loss of your ring though). Good tip for vintage patterns too. Glad you were able to find me!